West Edge Opera mounts an ambitious new project. 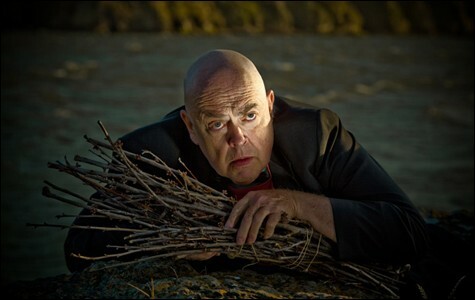 Casting John Duykers in Caliban Dreams was something of a coup for West Edge Opera. At the El Cerrito Performing Arts Center (540 Ashbury Ave., El Cerrito) July 30 and August 5 at 8 p.m. and August 7 at 2 p.m. $15-$69. BerkeleyOpera.org. It's about 7 p.m. on a Wednesday night in the West Oakland warehouse-studio that's currently serving as the rehearsal space for West Edge Opera's upcoming Caliban Dreams, and a small group of people are trying to make magic happen. That's magic as in literal magic, as in spells and spirits and an enchanted island and a bevy of witches, all of which figure heavily into the opera's script, based on Shakespeare's The Tempest. But there's also some figurative magic going on here: First, there's the suspension of belief and sleight-of-hand any kind of performance art requires, but West Edge is also playing with the particular wizardry of staging a full-scale original opera production as a small company with remarkably few resources. Also, and more immediately: whatever kind of augury or abracadabra it will take for everyone to avoid heatstroke. Outside, it's unrelentingly hot, the kind of day during which a person can go from freshly clean and showered to sweat-stained and sunburned in what feels like minutes. Inside, it's at least ten degrees warmer. "We call this 'Bikram opera rehearsal,'" principal John Duykers quips, looking ever-so-slightly schvitzy but otherwise ready to roll in a tight red T-shirt and black sweatpants. We're roughly a quarter of the way through the opera, and Duykers, playing the eponymous Caliban, is about to have a spell cast on him in a complicated sequence that invokes dozens of performers and a two-level set. "Brace yourselves," West Edge Artistic Director Mark Streshinsky says to the small crowd watching the rehearsal, and it's unclear whether he's echoing Duyker's apologies about the heat, or just talking about the production in general. With more than a week to go before opening night, there are still details to be worked out: The blocking isn't entirely set; the dancers are still fine-tuning their movements; and the chorus members, mostly native Californians, are having trouble grasping the stage direction that the little lights they'll be holding behind a (now-imaginary) dropcloth should look "like fireflies." But beyond that — and even with semi-improvised set pieces, a single piano instead of the full orchestra, and a high preponderance of bike shorts and tank tops in lieu of real costumes — you can see the contours of a fully realized (and very promising) production. Which makes sense: Caliban Dreams has been in the works for more than a decade. 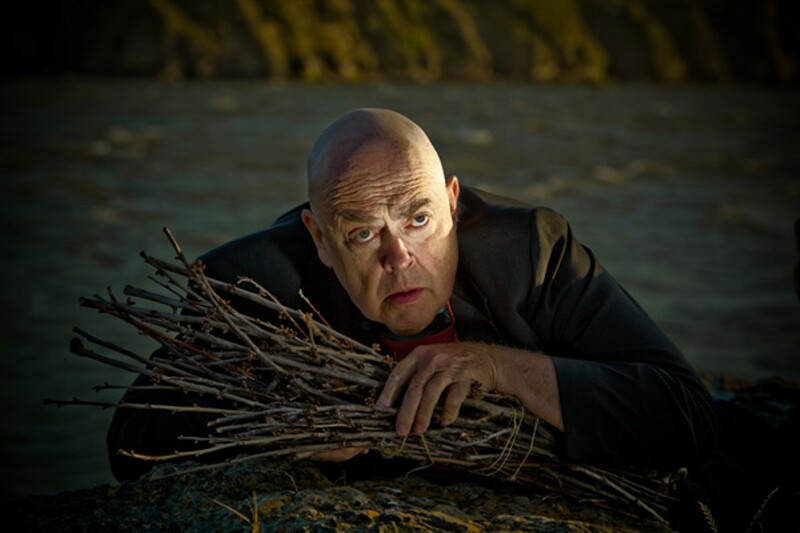 According to composer Clark Suprynowicz, the germ of the idea came around twelve years ago, when he was commissioned by the San Francisco Shakespeare Festival to underscore a production of The Tempest. But the project quickly took on a life of its own, and with librettist Amanda Moody and director Melissa Weaver on board, it eventually emerged as a wholly new opera following one of the original play's minor characters — Prospero's slave, Caliban, as well as his twin sister, Ariel. "I liked the idea of burrowing down into these characters in a way the original hadn't," Suprynowicz said. The opera was first presented as a concert reading back in 2003 at San Francisco's Magic Theater; since then, it's gone through a slew of staged readings and what Moody estimates must have been at least 48 different drafts. According to Moody's notes, Caliban has been, at various points, a meditation on colonialism, a Freudian allegory, a play-within-a-play, a picaresque, a 9/11 fable — everything, basically, except for a fully staged production. "It's always really hard to find the money to do full productions of new work," Suprynowicz said. "But this one's finally been pulled out and stood on its feet and dusted off. It's a tremendous feeling." Next week, and with the help of a $12,000 NEA grant to cover much of the production costs, Caliban will be staged with a thirteen-piece orchestra, a full chorus, and a professional cast. Adapting Shakespeare is a lot of pressure, and staging a new piece — especially one that's been so long in the making — is an undeniably ambitious undertaking for such a small company. But Streshinsky, West Edge's relatively new artistic director, is nothing if not ambitious. (No sooner can I ask why he decided to mount an original opera — which requires exponentially more resources than simply rebooting a classic — that he stops me and says, "We don't do enough of them.") After all, this is a man who came to a small, cash-strapped local opera company at the height of the recession hoping to raise standards — even as arts organizations with much bigger budgets were being forced to lower them. Though West Edge — formerly Berkeley Opera — has been around for more than forty years, it's always existed as a locally-focused company, respected by audiences and critics for its spirit of experimentation — but not always for its polish. "It's a very small community-based opera, and we have a scrappy spirit," said Streshinsky, who began as artistic director in the fall of 2009 but who'd worked for the opera in various other capacities before that. "It's a constant struggle, but it's my goal to raise the standard." So even though Streshinsky's singers aren't unionized, he follows union rules with regards to breaks and hours. He was instrumental in moving the company out of its previous home in the Julia Morgan Performing Arts Center — a relatively cramped space — and into the El Cerrito Performing Arts Center, a multimillion-dollar new space with a convertible orchestra pit, high-tech A/V equipment, and twice the seating capacity of the old theater. He's also been strategic about where and how to spend the company's money, MacGyvering expensive-looking and evocative sets out of cheap materials. When one of last season's operas called for a nightclub scene, instead of spending thousands of dollars on lights and furniture to literally re-create a club, Streshinsky instead found hundreds of cheap plexiglass martini glasses wholesale, and hand-strung them together to create a beautiful, glimmering curtain. The audience knew exactly where the action was taking place, and Streshinsky had spent a fraction of what he would've on a more traditional set. And for the 2009 season's The Legend of the Ring, a highly abridged version of Wagner's famous fifteen-hour epic, he enlisted veteran local video artist Jeremy Knight to create immersive video projections that lent the piece an impressive, appropriate sense of space, even in a relatively small theater. All that cost-cutting has allowed West Edge to focus on the talent, traditionally one of the company's weaker points as defined by local critics. "We really try to cut corners as little as possible when it comes to casting," Streshinsky said. Duykers, especially, was something of a coup for West Edge. Perhaps best known for originating the role of Mao in Nixon in China, he's used to performing in theaters much bigger than the six hundred-seat Performing Arts Center — Lincoln Center, for example, and the Royal Opera House. But he was attracted to West Edge, and to Caliban, because of the caliber of its creative team: Duykers said he has long admired the work of West Edge musical director Jonathan Khuner, plus his wife, Melissa Weaver, is the opera's director, and the two of them have a longstanding collaborative relationship with Suprynowicz and Moody, who wrote the role for him. "I'm very committed to generating and performing in new work, and I think Clark is a very talented composer and Amanda a very talented writer," he said. "Caliban turns out to be a very complex piece, but it's also a lot of fun." "Fun" isn't typically a term assigned to opera, especially ones with roots as highbrow as Caliban's. "No doubt, you hear 'Shakespeare,' you hear 'opera,' and you think it'll be very serious," Streshinsky said. And in some ways, Caliban is a serious opera, rife with all the mythology and seriousness of Shakespeare and all the emotional range of opera. Moody wrote the book in an appropriately reverent Shakespearean-style verse; Suprynowicz's score is restrained when it needs to be and never hammy, and the whole production's got the weight of a serious group of professionals behind it. But it's also an opera with the soul and the sensibility of a slapstick comedy: there's an entire song — written in Old English, no less — about the cruelty of hangovers, and without giving too much away, Ariel spends much of the first half of the show in a sort of extended sight gag, something that might be more at home on SNL than in an opera house. It works, though: the rehearsal audience, composed largely of donors, cackled at a few points during the run-through. "We wanted it to be a lot of fun, to connect with an audience and show them things that they didn't expect," Streshinsky said. Moody drew not only on Shakespeare but on other middle-and lowbrow entertainment — other Shakespeare plays, The Wizard of Oz, The Three Stooges. For his part, Suprynowicz said he found inspiration for the music from material as varied (and, in some cases, as nontraditional) as Gilbert and Sullivan, Thelonious Monk, and calypso. Like Shakespeare itself, Caliban is irreverent. It marries what Suprynowicz calls "the sublime and the silly," delivering Stooges-style barbs in heightened verse and careening wildly between moments of bracing emotional honesty, broad comedy, and fatuous absurdity. Moody ultimately defines Caliban Dreams as a fantasia, and, she points out in her notes, "as fantasia, what's light is very light, what's dark is very dark, and what's daft is broad to the point of boffo."